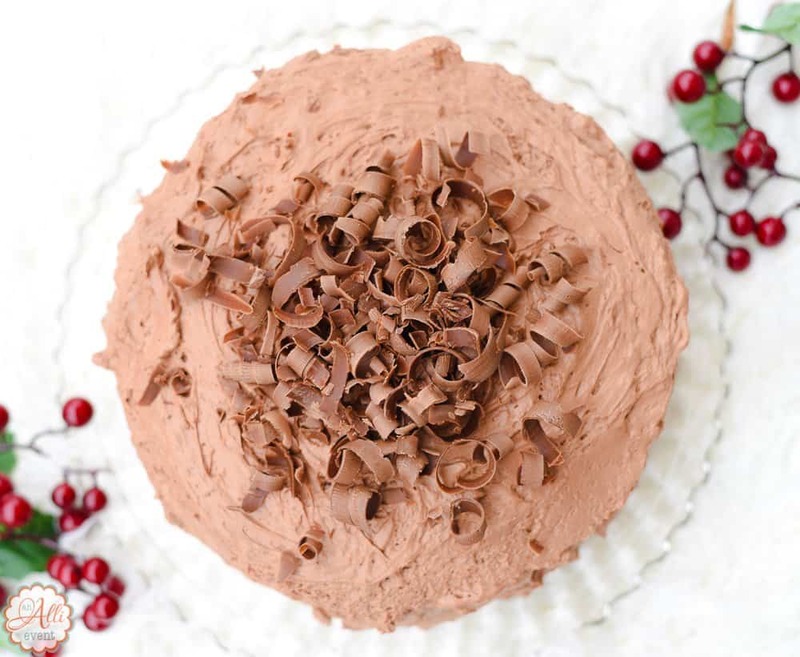 If you’re a chocolate lover, the recipe for Triple Layer Chocolate Mousse Cake is a must-have! Plus, it’s so pretty with all the chocolate curls on top. 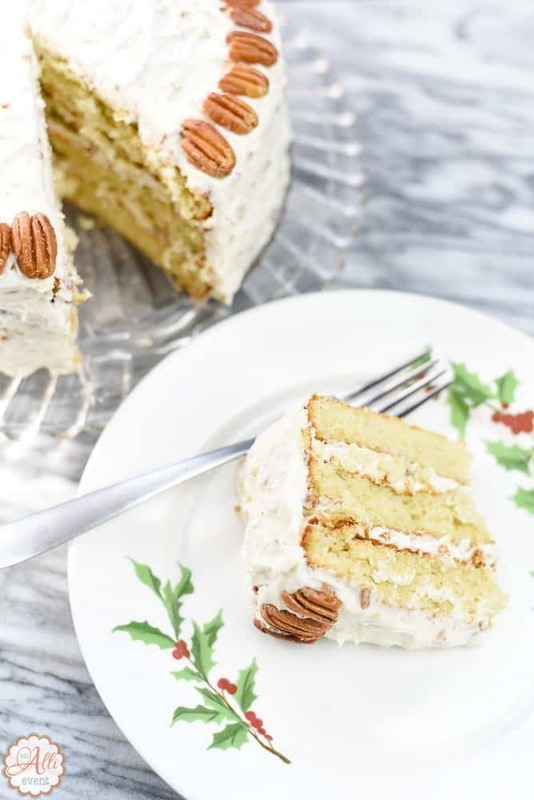 Of course, you can skip the curls but they really add a wow factor to this cake. Every time I make this Triple Layer Chocolate Mousse Cake, it always takes me down memory lane. I remember when my oldest daughter was president of the student council at her high school. We hosted a Christmas party for all the officers and the teacher in charge of the council. I don’t know why, but I was a little nervous hosting my daughter’s teacher. Of course, the party was over-the-top amazing because I served Triple Layer Chocolate Mousse Cake. The next day, my daughter’s teacher asked for the recipe and kept talking about how good the cake tasted. It must have been good because there wasn’t a single crumb left after the party. I’ve made Triple Layer Chocolate Mousse Cake many times since then, but I always think back to that time I hosted that group of high school kids and how much they all loved the cake. I hope you enjoy this cake as much as we do! It’s the perfect cake for birthday parties and special occasions. It’s also just the thing when you’re having a chocolate craving. Trust me! The frosting on this cake is delicious. Be sure and chill the mixing bowl and beater before making the frosting. I usually pop the bowl/beater in the fridge while the cake layers bake. Before making the frosting, sprinkle unflavored gelatin over two tablespoons of cold water. Then add the 1/4 cup boiling water and stir until well combined and clear. Be careful not to overbeat the frosting. You want soft peaks before adding the unflavored gelatin. Once, I got busy cleaning the kitchen and I almost had stiff peaks. Oops. The chocolate curls are optional but I always add them. Preheat oven to 350º F. Grease and flour three cake pans. Combine sugar, flour, cocoa, baking soda, baking powder and salt. Add eggs, milk, oil and vanilla. Beat 2 minutes at medium speed. Stir in boiling water. Batter will be thin. Pour batter into the cake pans and bake for 30-35 minutes OR until a toothpick inserted near the center of the cake comes out clean. Cool in pans on wire rack for 10 minutes. Remove cakes from pans and let cool completely on rack. 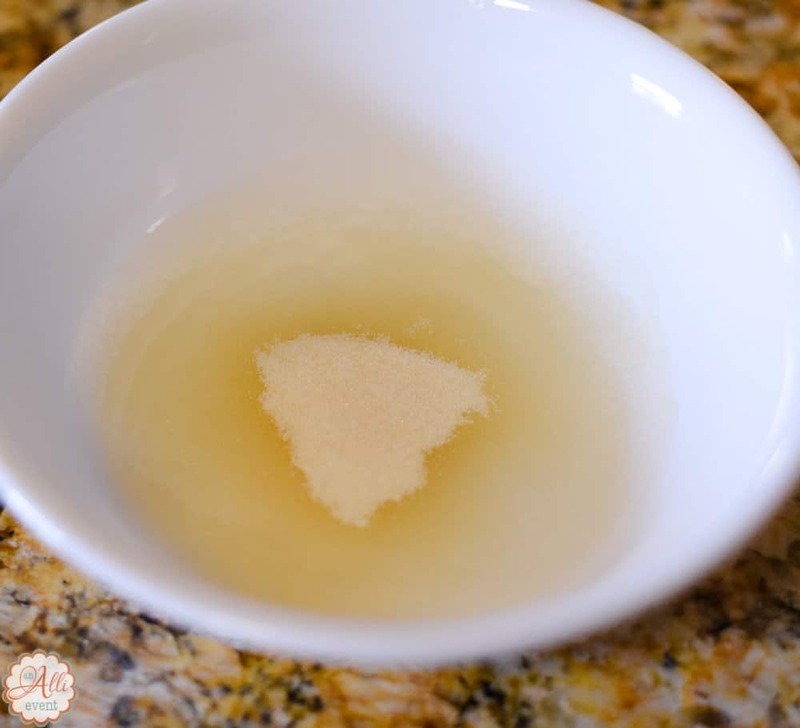 In a small bowl, sprinkle gelatin over cold water. Let stand one minute. 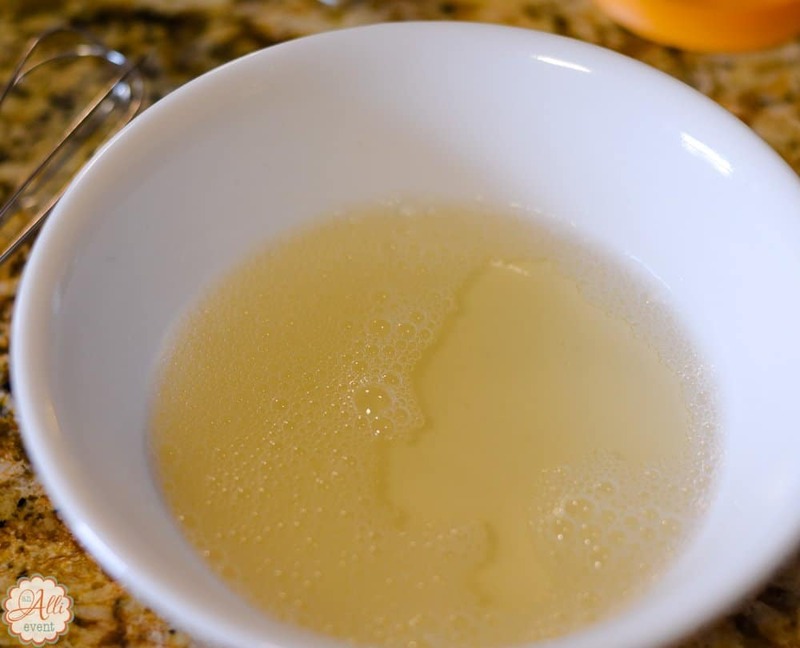 Add 1/4 cup boiling water and stir until gelatin is dissolved and mixture is clear. Cool slightly. In a large chilled bowl, stir together sugar and cocoa. Add heavy cream and vanilla. Beat at medium speed until soft peaks form. Add gelatin and beat until well blended. Fill and frost cake. Refrigerate one hour before serving. Optional: Add chocolate curls to the top of the cake before serving. 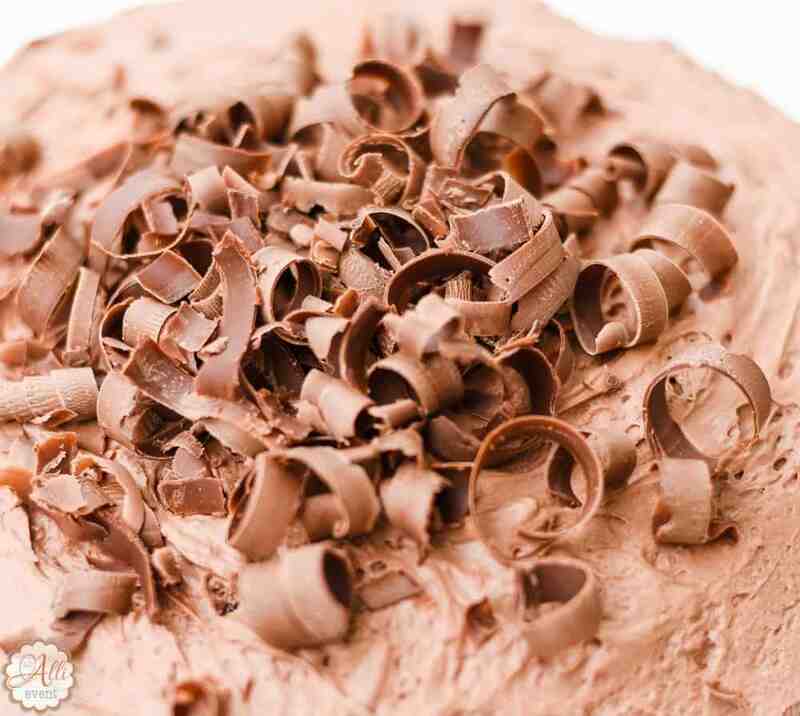 Helpful Hint: Click here to see how to make chocolate curls! They are so pretty when placed on top of the Triple Chocolate Mousse Cake. This cake sounds like a real winner. I would love to make this for my Christmas guests because I know what a big hit it would be. Triple layer. Take about over the top delicious and full of chocolate. Beautiful looking cake but will taste even better. Yes please. I am a person who is a total chocoholic, so I’d gobble this right up. It looks spectacular. That cake looks fantastic! I totally wish that I could reach through the screen and grab a piece for myself right now. Triple chocolate?! Yes, please, yum! This cake looks and sounds just perfect. Now you are totally speaking my language! Anything chocolate is number one on my list and so when you say triple layer chocolate mousse I am all over that. This chocolate mousse cake looks so decadent. I need to try making one, I like treating myself to chocolate dessert once in a while. 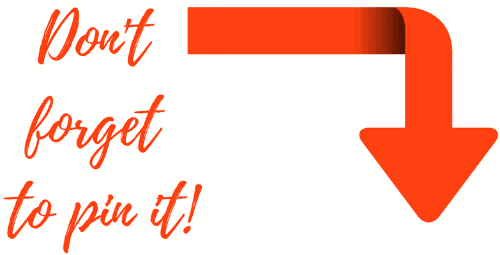 Natalie recently posted…Top 10 Christmas Movies to Watch on Netflix + Giveaway! I love anything with chocolate mousse involved. This sounds like a crowd pleasing recipe. 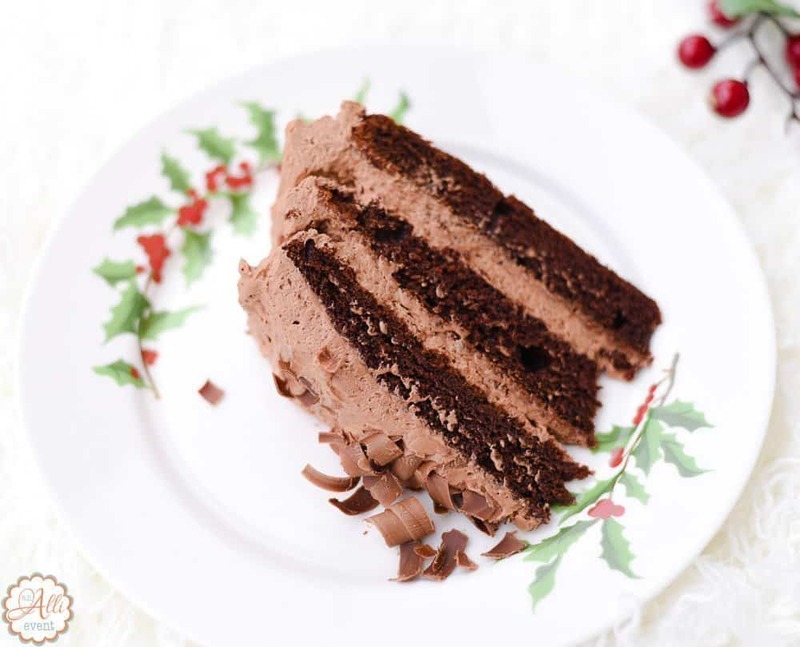 Oh my this Triple Layer Chocolate Mousse Cake looks so amazing. I would love to serve it for dessert over the holidays. I am sure it would be a big hit. This is the kind of cake I need! Yum, I think this would look really nice with our decorations! Alli strikes again!!! OH MY FREAKING goodness this looks so good! I love chocolate so I”m all for it, I also think I need to give the italian cake a try. Oh wow, this looks amazing! These kinds of recipes always make me want to get to baking. Which gets me in trouble because then I want to eat it all! I will have to make this when we have other people coming over to help me eat it. I love anything chocolate mousse related! This cake recipe is fantastic. Even if I am not a really good baker, I will try my best making this cakes, so wish me all the luck! 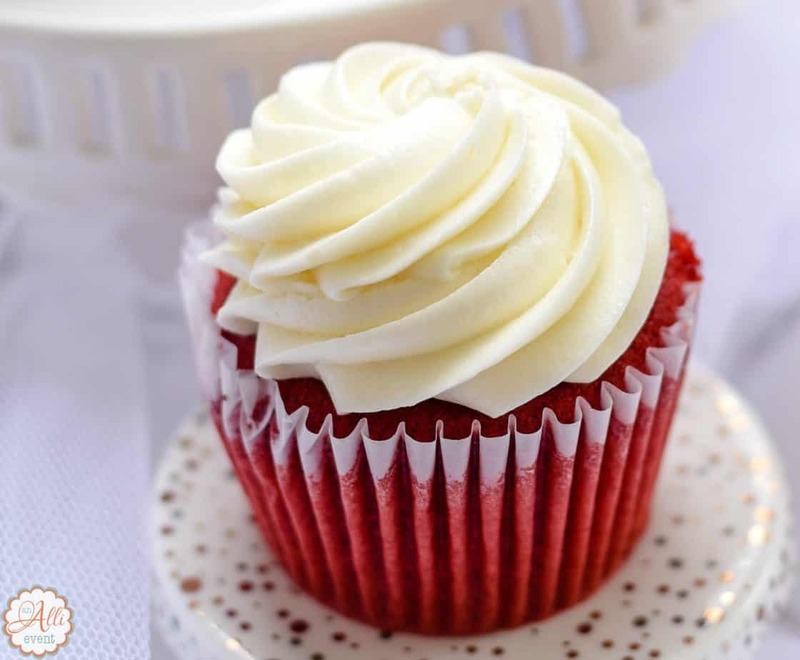 That looks so fluffy and moist, yum! Can I have a slice please? I wish I could bake as good as you! It is easy to see why the student’s and your daughter’s teacher loved the cake, it looks absolutely delicious. Thanks for the tip about putting the bowl in fridge. I had chocolate mousse for the first time last week and it was amazing! I can only imagine it as a cake!! I have to try this. OMG! 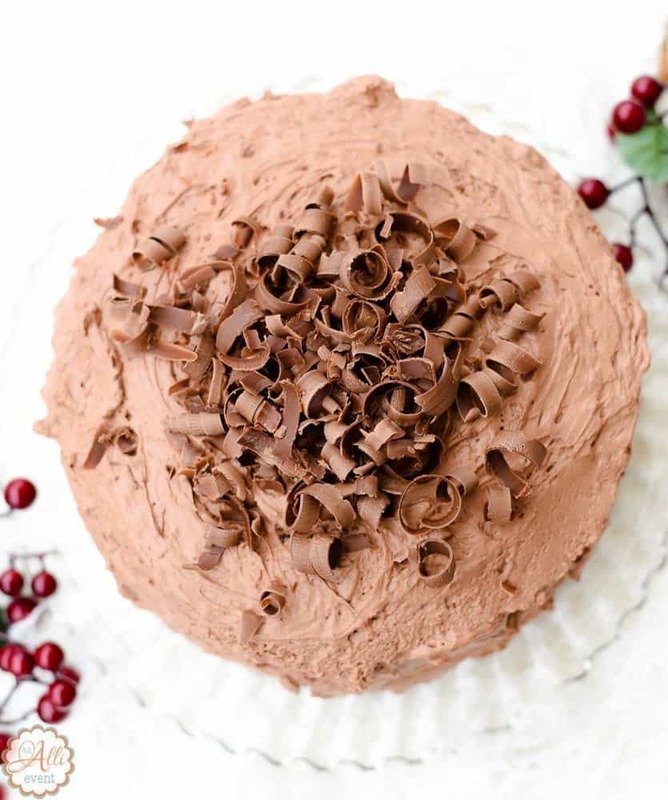 I love a good chocolate mousse cake and yours looks so delicious. I’l have to try your recipe.